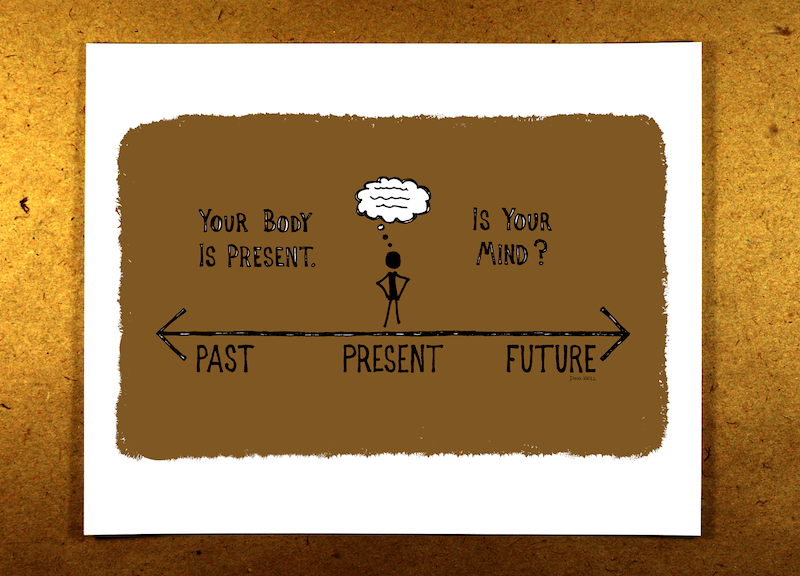 Part of the human experience involves the unique ability to think about the past and imagine the future. In some cases this is a good thing. It’s useful to reflect on things that have happened in the past and learn from them. It’s useful to play out scenarios of what might happen in the future in order to better inform our present. But to spend your time dwelling on events in the past that you cannot change or stressing/fantasizing about a future that is still undetermined is nothing more than a waste of time. So if you find your thoughts drifting away from the present in those most unproductive ways, then do whatever you can to pull it back to the present. Your sanity (not to mention your future) depends on it.